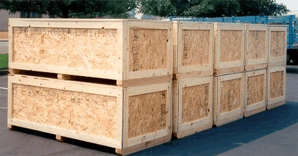 DeGrand specializes in packaging bulk product lines to single item crating. You will receive fast and courteous service, along with DeGrand’s reputation for quality control. If you have a unique product that needs non-standardized packing—no problem! DeGrand has a wide range of capabilities designed to meet your specific needs.